Happy Day to everyone! 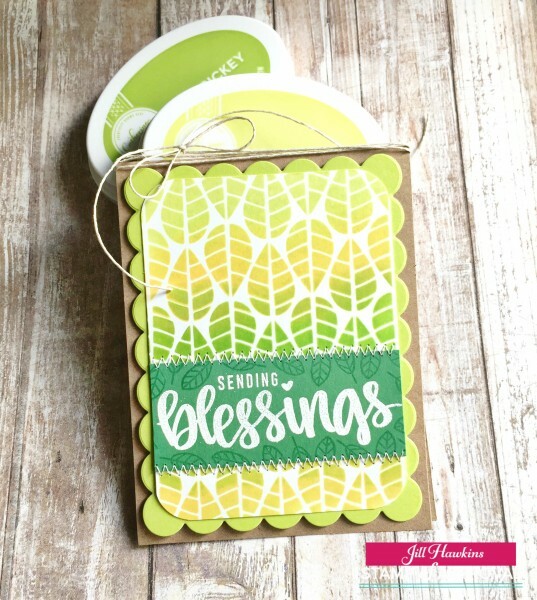 It's Jill here sharing a couple of cards that I made with the Counting Blessings Collection of goodness! My first card uses the Marching Leaves stencil. I love the greens on this first card, a testament to how versatile everything is–definitely not to be used just seasonally! I cannot express how much I LOVE this Marching Leaves stencil! The scalloped panel is from the Tag, Etc. Dies. 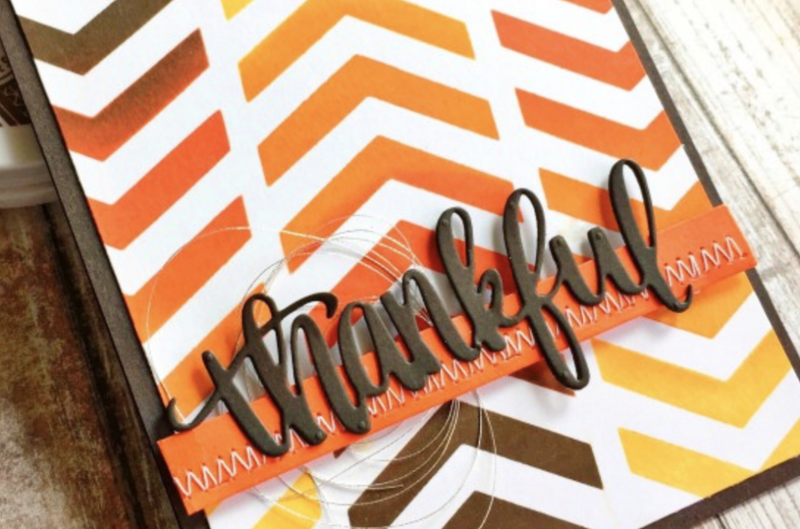 And this sweet sentiment is from the Autumn Blessing stamp set. I just white heat embossed it, and added some tone on tone leaves around it before I trimmed out and stitched on! I also used all Catherine Pooler inks. Oh goodness, I'm telling you, you will not be disappointed to use these! 🙂 Here I used Grass Skirt, Lime Rickey, Tiara, and Melon Ice! I've got on more card to share with you! I look forward to seeing what everyone creates with these!